Colour is simply light of different wavelengths and frequencies and light is just one form of energy that we can actually see that is made up from photons. In Chinese Culture, Colours has an acknowledged place in making things more auspicious and create awareness of sadness too.The auspicious colours according to the Chinese are Red, Green and Yellow, and because of its association Gold and Silver are also considered lucky colours to use.When packing gifts for presentation, it's very important to use Red paper as the Red packet for the New Year and other occasions. Colours have its spiritual and therapautic place in nature, and thus make things more interesting. 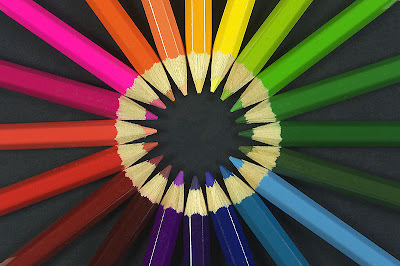 Use and Experience colours everyday in your lives . Appreciate it.